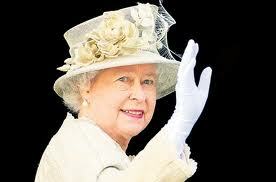 Jamaica farewell to the Queen? Those were the questions put to me by the Editor of an Internet news website just as I had begun to write a Commentary after a two-day seminar at Cambridge University in the UK that grappled with the issue of the Commonwealth and its relevance to its 1.2 billion people after the Commonwealth Heads of Government Meeting (CHOGM) in Australia last October. After each Commonwealth Heads of Government Conference (CHOGM), The Round Table has convened a meeting of representatives of Commonwealth non-governmental organisations, ministers, academics and the Commonwealth Secretary-General to assess the outcomes of the Conference. It did so at Cambridge University in the UK on 9 and 10 January with Commonwealth Secretary-General, Kamalesh Sharma and Lord Howells, the British Minister for Commonwealth affairs actively participating. I attended as a member of the International Advisory Board of The Round Table and a member of the Eminent Persons Group that submitted a report to last October’s CHOGM in Australia on urgent reform of the Commonwealth. The question that dominated the 2-day meeting in Cambridge is whether, as a result of the Australia CHOGM, the Commonwealth is better or worse placed to serve the needs of the people and to make a meaningful contribution to the international community. I had meant to write about the outcome of the seminar but this matter of Jamaica commands immediate attention. So, this week, I give it priority. The posing of the Editor’s question shows how misunderstood the Commonwealth is even by journalists whose breadth of knowledge about world events is considerable. It also underscores the necessity for the Commonwealth to improve significantly its own information and education machinery. The Editor’s question arose because newly-elected Jamaica Prime Minister, Portia Simpson-Miller, in a televised debate on the eve of last month’s general election, said quite clearly that she wanted “a Jamaican Queen”. The remark from the leader of the People’s National Party (PNP) was not a new sentiment. The former leader of the PNP and former Prime Minister, P J Patterson, had also declared his party’s wish to end Jamaica’s monarchical status, in which it shares Queen Elizabeth, with 14 other countries as its sovereign. What was intriguing about the Editor’s question was the underlying assumption that if the Jamaican people choose to end Jamaica’s monarchical relationship and become a Republic, Jamaica would have to leave the Commonwealth of which the Queen is Head. This was the same assumption that Ireland made in 1949 when it chose to become a Republic. Having made that choice, Ireland departed from the Commonwealth. India was set to follow Ireland in becoming a Republic and leaving the Commonwealth, because the government of Independent India (1948) was not about to allow the British Monarch to continue to reign over it. However, mature and sensible heads worked out a solution which was that India would become a Republic and remain in the Commonwealth recognizing the British monarch as “Head of the Commonwealth” and “a symbol of the voluntary association” of independent countries. While the Queen is strongest champion of the Commonwealth family of nations, she has no executive authority over the organization. Republican status is not incompatible with Commonwealth membership, and I am confident that Jamaica would not leave the Commonwealth if it becomes a Republic. Jamaica derives no disadvantage from its membership of the Commonwealth. Indeed, its membership brings it great benefits, among which are: technical assistance in a range of skill-areas in which it lacks sufficient expertise; advocacy for dealing with issues that affect it such as debt and trade; and help in training people to deal with HIV/AIDS , and mitigating against the harmful effects of climate change. Additionally, Jamaican professionals, including judges, lawyers, engineers, nurses and teachers belong to Commonwealth organizations that provide them with a vast network of contacts across over 50 nations that help to improve their knowledge and access to resources. The associated question put to me is also interesting: should Jamaica decide to become a Republic, will it influence governments of the remaining independent Caribbean countries that are still monarchies to do the same? The answer is not necessarily yes. Two years ago, the government of Prime Minister Ralph Gonsalves in St Vincent and the Grenadines received a resounding “no” from the people when the issue was included in a referendum question. About four years ago, the government of Barbados, under then Prime Minister Owen Arthur, had also declared itself for a Republic with no unanimous support for the idea. Further, the fact that three Commonwealth Caribbean countries have been Republics for many years has not encouraged other Caribbean states to follow. In Jamaica, the matter could be decided easily if the two political parties agree that the time has come to cut the monarchical knot. Such a decision will not affect Jamaica’s membership of the Commonwealth, nor will it cause other non-Republican governments in the Commonwealth Caribbean to follow.